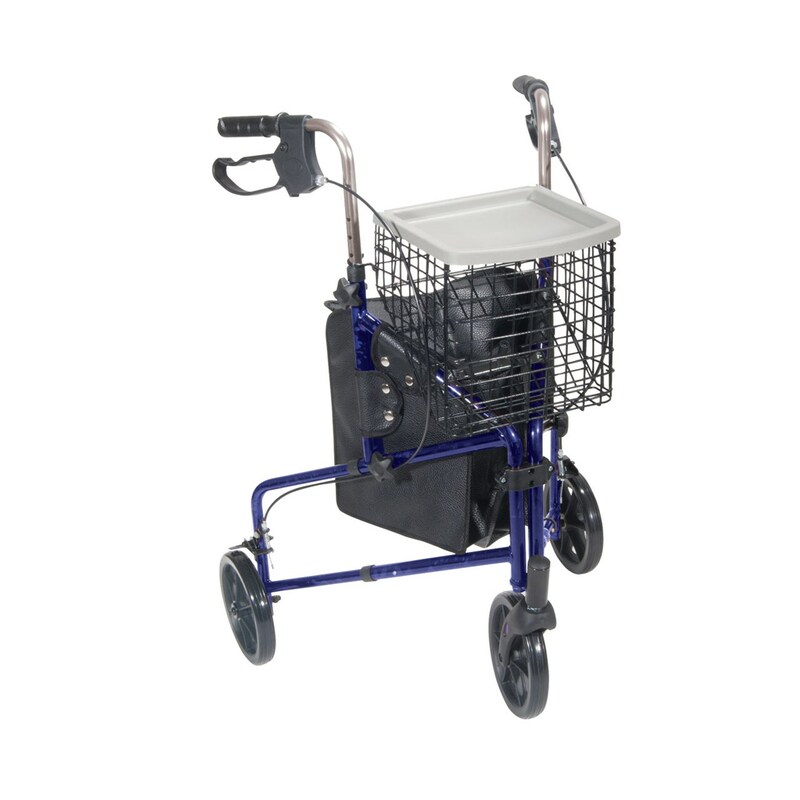 This Deluxe 3-Wheel Aluminum Rollator from Drive Medical offers lightweight, solid 8" casters for indoor or outdoor use, loop locks that operate easily and ensure safety and a lightweight aluminum frame. Plus, it folds to a compact size for storage and transport. 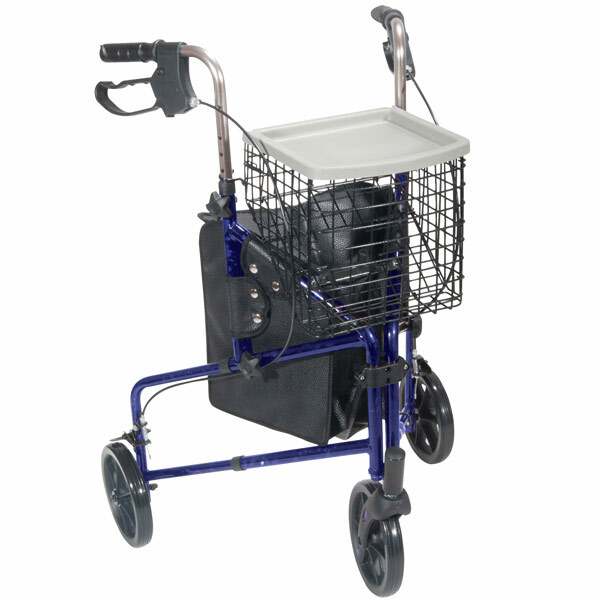 - Handle Height (Highest): 38"
- Handle Height (Lowest): 31"
- Product Weight: 16.5 lbs. - Weight capacity 300 lbs.